Clear all jellies and Bring dawn all ingredients reach 40000 points to complete the level.. This level has hard difficulty. 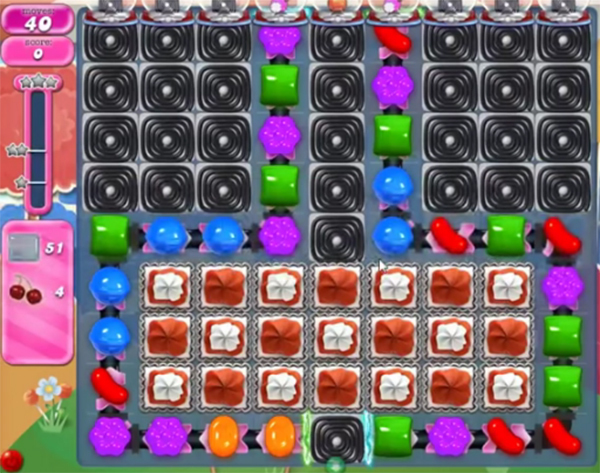 For this level try to play more from bottom part of the table and make special candy as you get the chance. Combine them with each other or play near to ingredients to move them and take them out from the board. 1697 completed! 3 boards! Not hard. 1697 completed in four attempts.